The “Light” registration | Register your yacht under the Dutch flag. This is the most popular, affordable and simple type of Dutch registration. With this type of registration, your yacht is registered with the Dutch Ministry of Infrastructure and the Environment (the former Dutch Ministry of Transport and Public Works) WITHOUT the ship being registered in the Cadastre. This procedure is a simplified type of registration that is accepted by all EU countries and is even mandatory in some countries. Usually, the application procedure does not take long and can be completed within 1 week, provided all documents are available at the time of application. If you do not have Dutch nationality or an address in the Netherlands, you can have yourself represented by Yacht Registration Holland. We will then also offer you a domicile, so you can use Yacht Registration Holland’ office address and, in this way, have a (mandatory) Dutch address after all. To this end, you will have to sign a “Declaration regarding Representative Authority” as well as our “Registration Agreement”, which sets forth all agreements made in a clear manner. Once we have received the registration document for your sailing or motor yacht from the Dutch Ministry, we check for you whether all details stated in the document are accurate. If yes, we will forward the document to you by registered post. You are required by law to renew the document every 2 years. 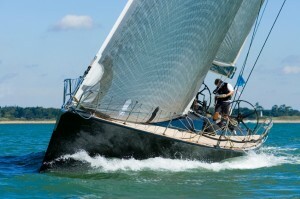 Of course, Yacht Registration Holland will also take care of this for you! The “Light” ship registration is available for all sailing and motor yachts of a length UP TO 24 metres. Longer yachts require the “Comprehensive” ship registration. The costs that Yacht Registration Holland charge for registering your ship are among the lowest to be found across the European market. We would be pleased to give you a free quote without commitment. We are sure that our proposal will surprise you in the most pleasant manner! Just fill in the Request for Proposal Form on the next page, and we will get in touch with you the very same day! The EU Light Registration is from now on also available for yachts which are in possession of NON EU yacht owners. Email us for more information! Yacht Registration Holland will arrange the entire registration process in the Netherlands for any leisure craft in the world. We use professionals in this process such as chartered accountants and lawyers, with whom Yacht Registration Holland has been working very closely for many years.